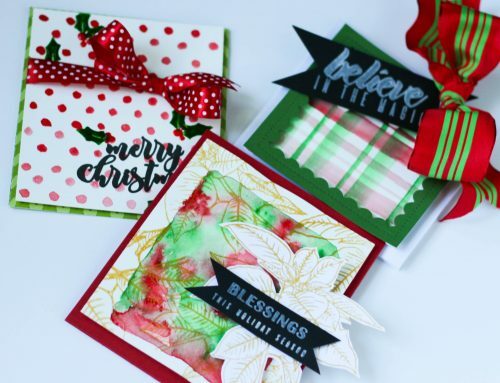 Card Cafe Thursday with Jen Shults! 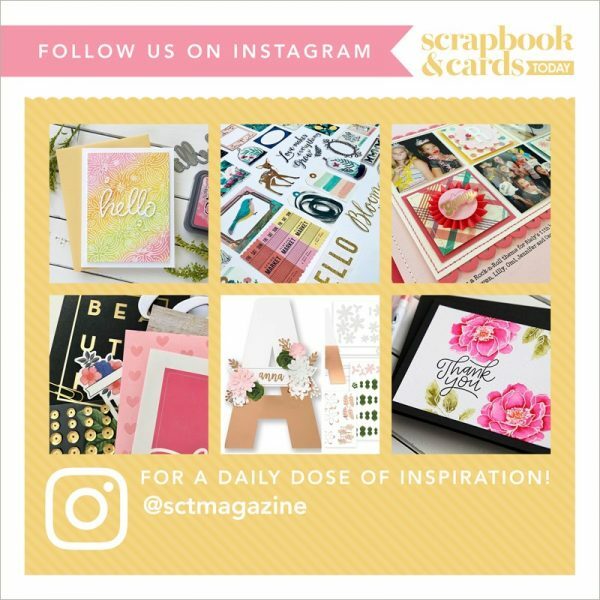 Hi crafty friends! 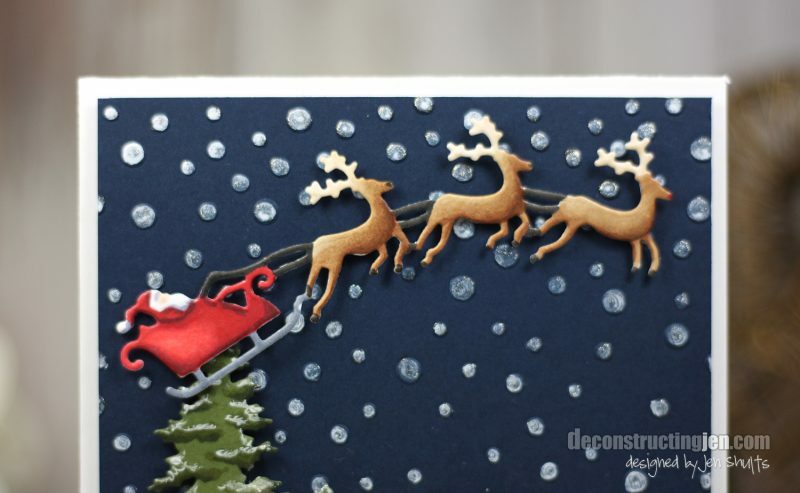 One of my favorite card making techniques is coloring die cuts. 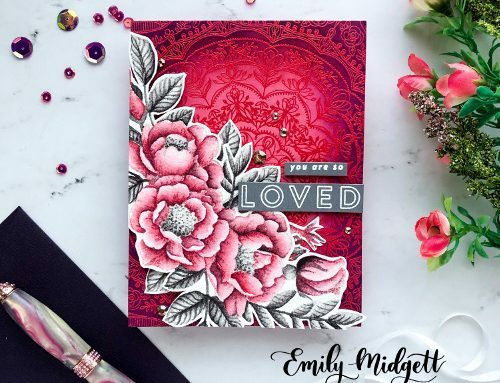 I love this technique because it stretches products I already have with a new look and loads of flexibility. Today I have two cards to share with you that use this technique in two different but similar ways. 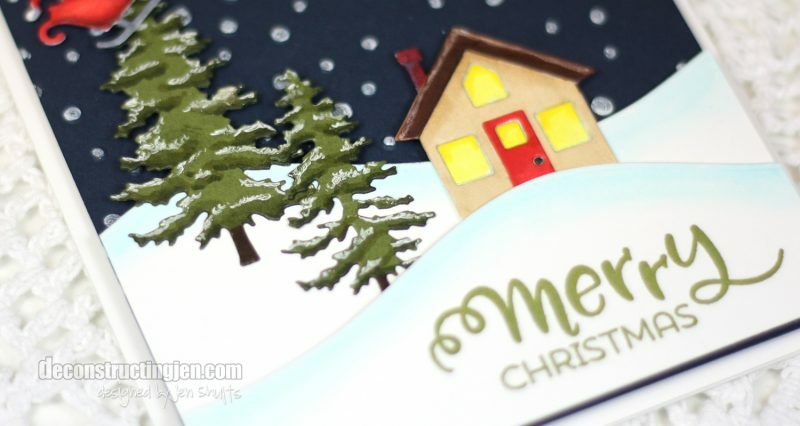 This first card demonstrates using Copic markers to color on pre-cut die cuts from color card stock. 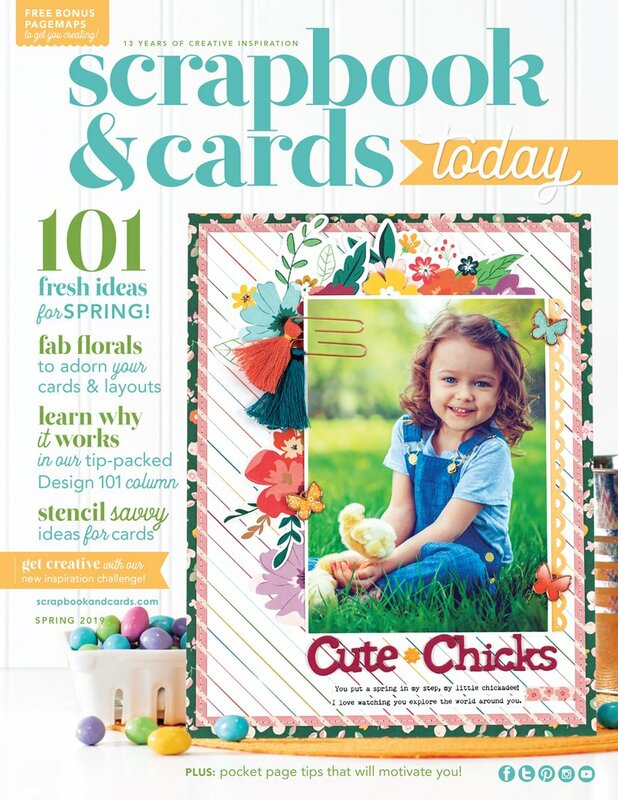 This is an easy way to add dimension and a new look to dies that you may have used many times before. When using Copics to color on color cardstock I like to test out my marker colors on a piece of scrap cardstock before jumping into coloring on the die cut pieces. This lets me get my blending colors correct ahead of time. 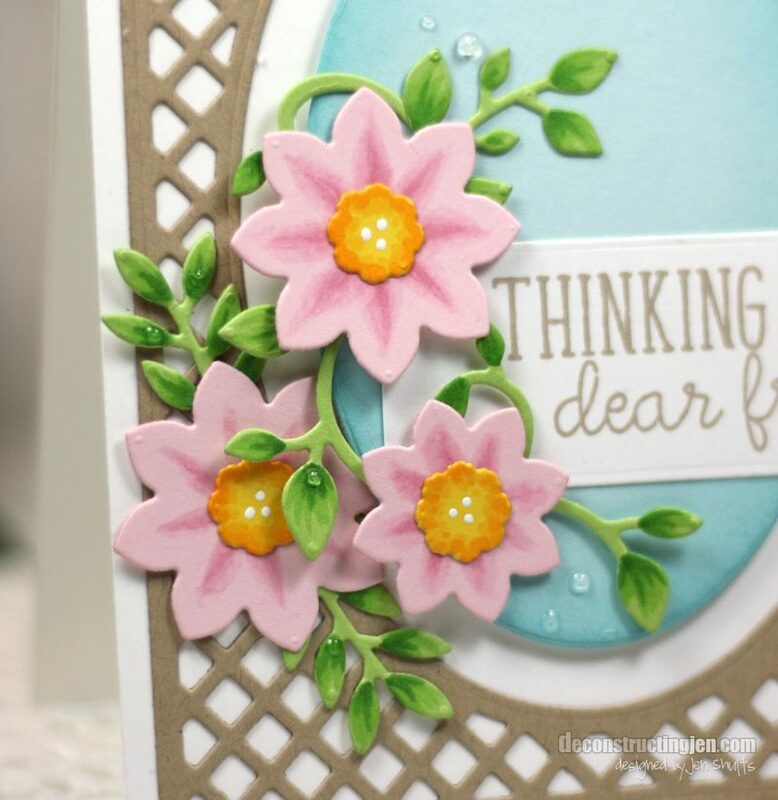 For the flowers in the card shown here I used two colors of pink markers along with o blender to add depth to the flower petals. I likewise used two colors of yellow on the centers and two colors of green on the leaves along with the 0 blender. The second way I like to use this technique is to color on white cardstock die cuts. 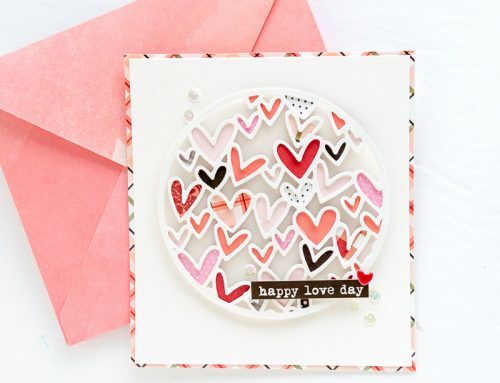 This is a super versatile method because it’s not dependent on having specific colors of cardstock so the options are limitless. 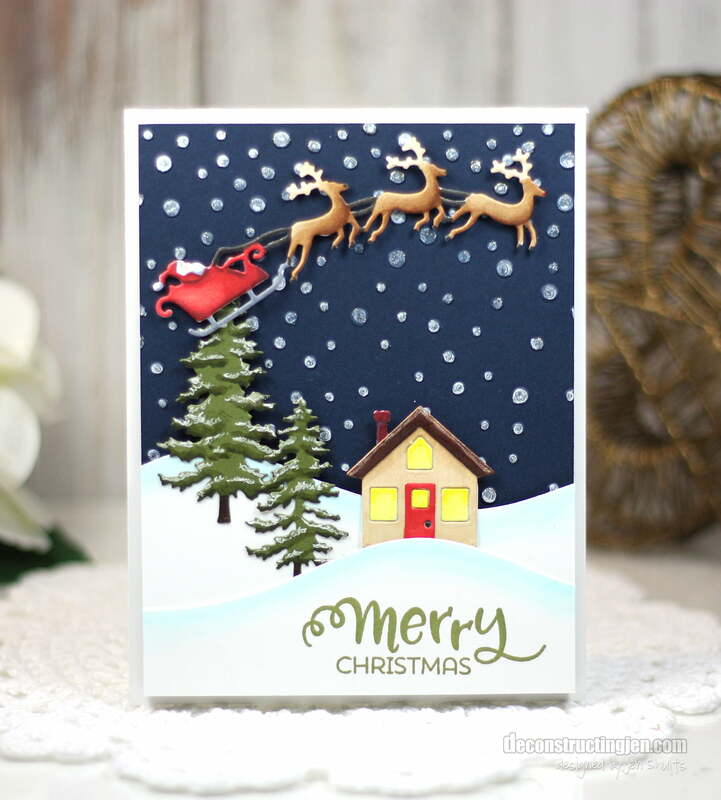 In this card I die cut Santa and his sleigh along with the house from white cardstock and added detail coloring with Copics. I was able to add quite a lot of detail to this by leaving the die in the negative as I was coloring. This helps to stabilize tiny die pieces and protects the surface you are coloring on. For the trees I used the previous technique of coloring on colored cardstock. This saved quite a bit of time be starting with a base color and then adding shadows with Copics and snow with a white gel pen. Thanks for this, Jen! My coloring attempts haven’t been what I’d like so far, but adding coloring on colored cardstock might be the easier way for me, and give me more confidence. Adding shading and some white, like on the trees, seems like good place to start! Just gorgeous!!! Great cards Jen! Thanks for sharing these two very handy techniques. 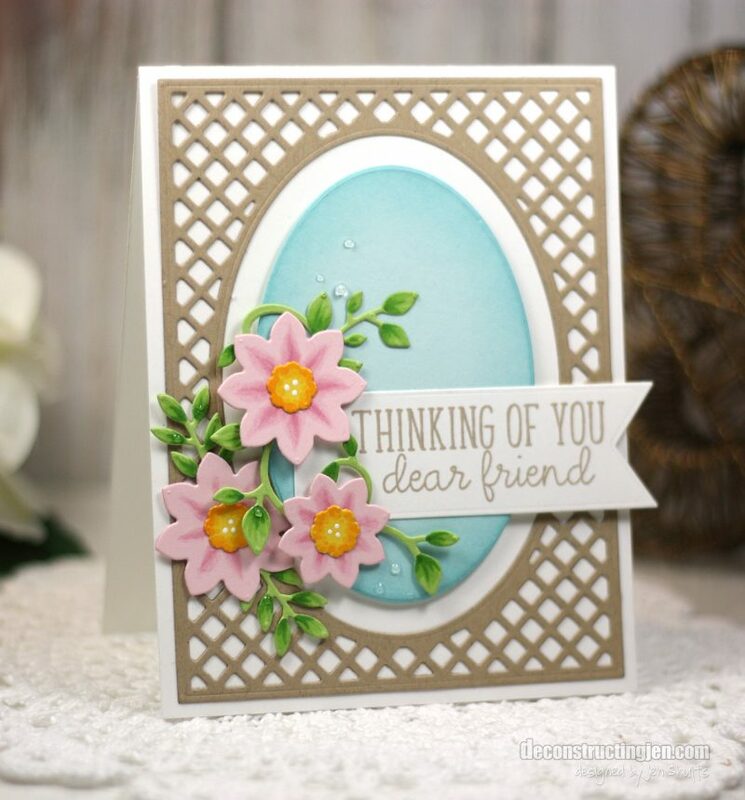 Hoppy Easter layout inspiration with Lisa Dickinson! 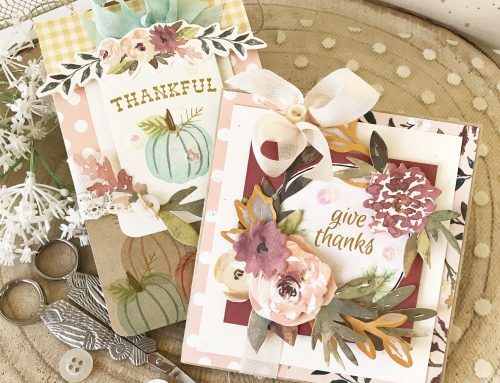 Beautiful Easter table inspiration from Latisha Yoast! Free cut file by Nicole Nowosad!